The world is constantly progressing. Then we are always waiting for “SOMETHING” new in this fastener industry.The answer for fastening harder objects by easier way, that is GRX. 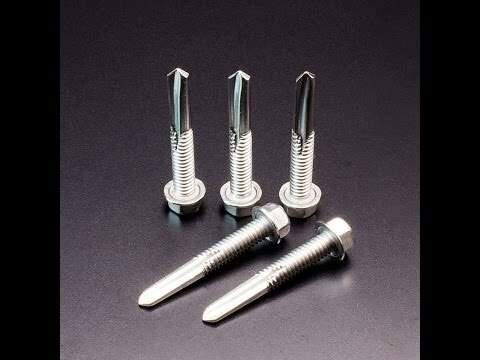 Corrosion resistance equivalent to A2, hardness higher than MRX®.Self drilling screws of GRX enable us to drill stainless steel plate which FRX® and MRX® can not do easily.We regard GRX as an epoch-making product which has a chance of being conspicuous in various situations in the near future. Place with bad maintenability, plant that must avoid shut down by aging degradation, kitchen equipment and so on.